Now Playing: The Blue Danube.. It may appear to be a habit, but in the era of consolidation it simply is another step to put most eggs into one basket. Thus this here blog has been moved to the Blooger (Google), and all updates happen there (and there have been quite a few). Now Playing: Nothing, nothing but street noise.. There are several variations of the past for everyone, even for the most linear of lives. Naturally the selective memories we use to shield our mostly fragile egos with are on top of the heap, skimming our mental surfaces ahead of the more official, so-called historical version of the times gone by. Somewhere below that, in the muck left behind by our own editing reside the personal, qualified admittances we cannot avoid no matter how hard we may try. Here the mind, the consciousness - call it what you will - forces brief bouts of honesty into our lobes. These maybe highly private and obviously hidden, still, they regularly betray us through emotions, expressions, and these unguarded moments when we feel we need to connect with someone in the "real" world. And then there are those fragments of the past packaged in the memories others have of us. Tinted just like our own spurious perceptions, but along another, somewhat alien spectrum, they tend to represent a more critical history of ourselves, laden as they usually are with the onlooker's own value sets, emotive ballast, and chanced content brought about by our own fallacies or glories. Finally there are, for a few of us, the written words from all those yesterdays. If you have ever subjected yourself to the re-discovery of juvenile diaries or dusted off a yellowed bundle of love letters written three decades earlier, you know what I am talking about. Not only may you have forgotten (translation: denied) the existence of such words, but now you suddenly need to deal with the poignant realization that the writer (or in the case of letters, the recipient) of these pages no longer exists. He or she may still have a physical presence bound by gravity to this, our long since skewed reality; but that is were the semblance to us usually ends: the personality of the scribbler or reader has since undergone enough transitions while travelling in time to the here and now to make X-Men seem normal. It is precisely such a sudden flood of words, penned in part some fifteen years ago on the other side of the globe, that triggered this here entry: two days ago Christina presented me - among numerous other surprises - with some hundred and eighty odd pages of "written history" log thought lost and certainly forgotten. Divided into three neatly bound and well preserved volumes, these pages represented a short story and three chapters of novel I once intended to write. Had she told me I had a fifteen year old son or daughter, I would have been far less stunned! I was awed, not only by my own, awkward language and atrocious grammar then, but even more by the persistent perseverance and preservation of the "collector". These were not embarrassingly gushing words penned by some love-lorn teenager, but an attempt of my middle age to write down the multitude of stories that used to invade my feeble mind like small swarms of biblical locust. In that they were, naturally enough, a version of a younger me and thus served as a direct critique of me today (a complaint repeatedly underline by Chris, the collecting and preserving curator of these words). Where was that "budding writer" now? What happened in the intervening decade and half that led to the abandonment of the stories and characters that were once so familiar to me? I did not put the pen down entirely; I have written since. Yet the investment, if you will, is an entirely different one: less ardor, a lot less believe in my own words and work. I cannot yet write about the woman who is responsible for the saving of said words and paragraphs. The emotional distance is too small, the usual protective crust too thin to permit the "literary license" of selective memory. What can be made public though, is the undeniable fact that I wish I could pick up where I left of, certainly in terms of the words on those pages. But who would believe in that writer? 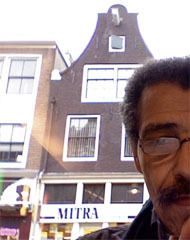 Amsterdam, The Netherlands - some six decades after B-Day..
Now Playing: U2: Still haven't found what I'm looking for..
Half a dozen years should not (sic!) amount to all that much in change. It really is not enough time for historically sloven and entrenched systems, such as our continental institutions and societies, to effect much in terms of "progress". Of course, there are always the gestures and grand motions, often loudly proclaimed on whatever media happens to be en vogue. Nevertheless, all in all I had reason to expect to find the old continent largely unadulterated. I was wrong, as usually. The grand foil of the freshly minted year 2007 was, naturally, the continuing enlargement of the European Union: welcome Romani, welcome Bulgar. And the Euro is now a paramount force, provided we forget the natural, British resistance for a moment. In most other political arenas the bedlam of olden days continued unabated and with the customary ignorance of what may happen outside its arena. Even the unemployment figures astound as ever. However, my somewhat idealistic expectations presumed that there would be one surviving constant: the social environ of our most liberal, our most advertised country: The Netherlands! I could have not been more wrong. Perchance, when I come again into the "Platte Land" (as J. Brel sung it), I will encounter the friendly, outgoing folks I remember from a decade ago. The people who would rather invite you in, for a cup of coffee with biscuit and a chat, than see a stranger wander by unacknowledged. 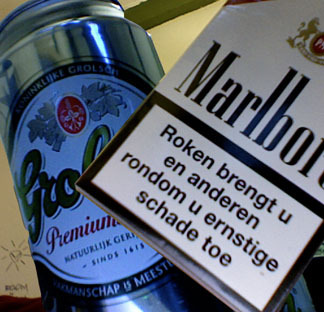 The Dutch I remember fondly, the same even-keeled folks I so strongly advertised wherever I went. In Amsterdam, they no longer live. Here, where a bite of arrogance always simmered under the surface, as is wont for any capital city population (visit Paris or London or, worse, New York City, to see what I mean), a cold, obnoxious, and altogether discouraging air seems to be accompanying everyone you meet. Surly pedestrians stare you down, daring you to approach them to ask for directions, or such, just to then march past you without as much as a "Sorry, don't know.."! A certain perverse frost hangs over the city, fueled by what now appears as a public fear of anyone who might be a "buitenlander" - a foreigner. The Dutch are taking their cue from the Germans, of all people! And that in a country where the census now reports that over thirty percent of the national population is foreign-born. Now Playing: Yankee Doodle Dandy (the British original!).. Topic: Thinking on my feet..
Greyhound bus depots in any given, large urban setting are the locus vivendi of the new republican poverty. It barely matters which city you visit; any one with a census of more than 100,000 will do: the depots are invariably surrounded by derelict buildings, adjacent to long vacant lots littered with debris. Cheap real estate may not look great on the balance sheet but on the P&L it's a real gem. The usually low-slung buildings (NY & Chicago are exceptions) are populate by bottom end of the social ladder, the rapidly growing social segment that knows money only because of the constant lack of it. America, more than any other country I have ever visited, seems forever on the move. The success of UHaul, Penske & the myriad of self-storage emporiums are the direct result of that, at least where the shrinking middle-class is concerned. Greyhound, on the other hand, transports may whose possessions fit easily into a few oversized suitcases. Except for the occasional student or the clueless foreigner, the busses are more often than not filled with Hispanics and African-Americans. The only difference between those two so-called minorities is that the former group is on its way "up", a direction the latter barely recognizes. What struck me most as I departed from Philadelphia, though, was the very apparent shrinking of the economic distance between those about to board a bus to Sandursky, Ohio, and those lost and homeless souls scanning the parking lot for recyclable cigarette ends. 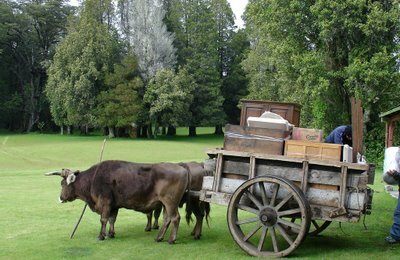 The travelers surely still had homes to go to or come from; but for how much longer? The current economic presets are induced spending (and the inherent over-indebtedness) aimed at those who can least afford it. Since it is no longer possible to marginalize large social or ethnic groups by the sheer force of prejudice Americans have invented a new, far more effective form of economic bigotry. Naturally, the poor souls now queueing for the bus to New York or Atlanta are all too happy to play their part. Of course, I must not overlook the minor but important fact that I, too, am boarding a Greyhound bus in a couple of hours. That once again I, too, have joined the ranks of the bottom-feeders, heading for points unknown. were the best dreams I ever had." Naturally, as the serious side of age sets in and slows your footfalls, you start thinking less about taxes and more about the other certainties. Ok, so I never really thought about taxes, especially not as a forgone conclusion. And so much of my past life seems still rather close at hand, as if it only happened a week, or a month ago, that thinking about the ultimate inevitability may appear foolish. Still, I've always argued that in order to live you must be mobile, both in mind and body, and able to remain curious. There are plenty of folks out there who can do all three even though they - literally - cannot move a muscle. Good for them, I wish them all the best from hereon-after. I will never be one of them. And although most of my muscles are surprisingly intact, almost as if they survived in spite of my living, I truly am immobile. I could not be more paralyzed if you gagged me and bound me into a broken-down wheelchair. The absence of curiosity about tomorrow and the year or century thereafter leaves you transfixed, unable to move, and forever looking back at yourself; with each passing moment your inner eye paints ever more glorious pictures of the past, until it can be recognized by no-one but yourself. Until one day you appear to be waking up, it need not be morning in your mind, and you cannot help but ask yourself if you did not simply dream it all!? Did you really ever meet J., and K., and C.? Did B. truly exist as the unabashed genius you seem to remember her? Were R. and D. actually men seemingly large than life, as the saying goes? Did you indeed traverse continents and oceans passing through cities and wastelands without ever having a destination? The scars, both outside and in, seem to confirm the tales. What is missing, though, is the ultimate proof: a legacy, no matter how small or insignificant, that would remind someone, somewhere, of a life without regrets. And that, friends and enemies alike, I cannot find. Hence I return, my head bowed..
Now Playing: Some very recent local band - I can't make out a word..
For a while - a very short while - I tried to run this here blog on my own site. Even wrote a bloody piece of automata software to update it. Only, I got caught inthe common trap of working for a living and thus generated little more than a lot of white space. AKA: silence. Now that I am about to hit the road again, this ready made format makes simply more sense. Ergo, I am back. Maybe even for more frequent updates, who knows. And thus all other sites are about to be closed down, at least for the time being. Where am I going? All I know is that "Wherever" lies west of here - I'll tell you once I find out more..
Television! The number one disseminator of misinformation, and not just in this US of A. However, the American networks seem to push this maxim to an all-time high nearly every night. And that's just the advertising. 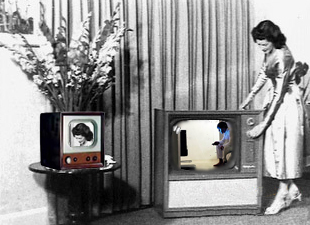 During a recent bout of boredom yours truly took to a bit of channel-surfing. Do that in any given locale in this wondrous country and you are bound to come across a considerable quantity of advertising spots, most of them more entertaining than the program features interrupting the commercial airwaves. 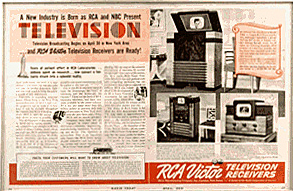 And not just on the greedy networks: with a very few notable exceptions the supposedly ad-free cable channels dilute their services with plenty of self-congratulatory campaigns. Naturally, each of them revels in hyperbole and similarly excesses, forever trying to outdo the competition. Perhaps the most entertaining segments are the spots showing of the wonders of modern-day pharmaceuticals. Small wonder this is a pill-popping nation par excellence! One miracle drug after the other blares its miraculous cures on the air night after night - all followed by officially required disclaimers. And it is right at this moment they tend to hit the funny bone. For each and everyone of them comes along with as many (and often more) side-effects than cures. I am certain that one day there will be an all-curing laxative whose "mild" side-effect will include the demise of its user! Not surprising thus that such pharmacology is often followed by spots enlightening the viewing public to its need for life insurance - in particular for those viewers over fifty - since their rather expensive death looms just around the corner. The car industry is, of course, equally bold in its overstatements: miles-per-gallon ratios are the latest gimmick to sell vehicles to the ill-informed and utterly confused. Strange and surely bogus ratings, paid-for-awards, and even the ever silent crash test dummies are all employed in what a conspiracy theorist might call the ultimate scheme of schemes: keeping everyone it perpetual debt. In that the mobility manufacturers are greatly aided by the credit card companies, with American Express and MasterCard leading the mob. Were you to believe them, nearly everything would be "priceless". Still when it comes to outright lies and misinformation none are more culpable than the communications companies. Be it mobile phone services or cable providers, they all excel in overstating their case well beyond the bounds of truth in advertising by simply applying an old, old advertising trick: compare apples to oranges and you cannot be found guilty of actually lying - you are just not telling the facts. In the end it was an amusing, albeit not to be repeated half hour. Boredom gone I turned to reading a sci-fi paperback (by none other than Terry Pratchet) - at least there the fiction is guaranteed to be just that. Fiction. Now Playing: Something, By Someone With A Tenor-sax..
..the gallery site has had its long overdue make-over. New exhibit and all. Nothing too fancy, I might add, but I like it. For now. Check it out at ny ny Gallery..! 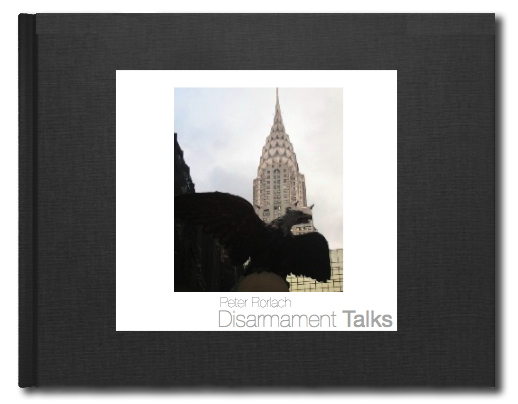 The virtual exhibit shows some of the images used in the forthcoming, albeit self-published, poetry collection Disarmament Talks, due out in June 2006. Being a self-published book, it will be available, at cost, in either hard cover or soft cover format, and can be ordered from the site. Few computer myths ever die altogether but at least some disappear or become lame jokes. Perhaps one of the most persistent and - of course - erroneous fantasies of the wonderful world of computing concerns the near infallibility of any machine coming out of the Cupertino warehouses. The Mac, if you believe the fanatics, is impervious to virus attacks; never crashes, and can be operated by anyone with an IQ higher than his or her shoe size. Having owned a G4 PowerBook for a little over a year now - after spending nigh two decades in the Windows' camp - I find the self-proclaimed ultimate in computing cool no better (but also no worse) than an equivalent PC laptop. Only a lot more costly. And don't speak to me of "cool" - this errant design from Steve Job's henchmen gets hotter than a toaster most of the time. As for being save from viri and spyware - it isn't just recently that the Mac's have been targeted. True enough, anything based on Microsoft's operating system has always been easier to hack. But the real reason why Apple's hardware and software has been "safe" for so long has always been that there is no point in attacking it: few businesses use it. And why would anyone want to hack into some prep student's PC? Unless you are looking for utter boredom, nothing of interest would be found. Commerce and governments have always run on Windows, for better or - mostly - worse. Sure, the speed comparisons were always hoping on the wrong foot, and now that even Apple switched to Intel (an announcement of an AMD-based PowerBook cannot be far behind! ), that benchmark is totally moot. Yet where it matters: networking, business applications, even standard productivity tools such as MS Office and the likes, Apple still lags miles and miles behind Microsoft. Even when the Redford, Oregon, company is the signing author for the application. MS Office 2004 has not seen a decent update since it came out, and underperforms even older versions of MS Office on the Windows platform. Networking is another headache: go wireless with the PowerBook and find yourself constantly disconnected. Try to maintain your PC in a mixed LAN and your Mac will throw of mapped network drives after even short periods of inactivity. And without some third-party tools (or some deep UNIX hacking) you cannot even decide what you want to share with other users on your Mac! Apple Mac's don't crash? If anyone seriously wants to make that claim they had better stick to an OS version predating OS 10 by a couple of years! The UNIX-based brainchild of none other than Mr. Jobs himself not only crashes with great regularity, it also takes a solid 40% of your battery's action span, and slows its host PC to a crawl unless you spend some serious money and max out its memory. Nor is operating it any easier than Windows. The learning curves on both are pretty much the same, with the exceptions being the I-series of applications. They are easy enough, as long as you are happy of following a very linear path because Apple clearly believes that its user base is not intelligent enough to make its own decisions. 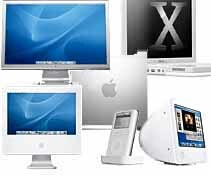 iPhoto, iDVD, iTunes - all assume that you have already bought into Apple's numbskull "philosophy" that your PC ought to be organized as its creators see fit. I still own and operate the PowerBook. Bought originally because I did buy into the hype that it would be a better machine for photo and video editing. And as far as video is concerned, I have to concur - there's nothing in PC land that comes close to Final Cut Pro. At least I have not found it. Still, most of the time these days people stare at my screen because they wonder if they seeing right: eighty percent of the time nowadays I run Virtual Windows XP on the PowerBook, because I still need to work in the real world. At least until I find a buyer foolish enough to pay a large sum for a year-old, 17" PowerBook! Just when you thought it was safe..
Now Playing: Marche Funebre - what else would fit? ..to go back to the bookstore, another whopper lands on your preferred news page. 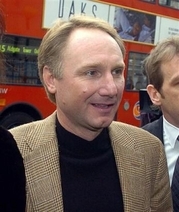 Right on the heels of the James Frey versus Oprah debacle, The Da Vinci Code and its author, Dan Brown, are appearing before the powdered wigs of a London court. The charge: plagiarism! The hugely successful Mr. Brown, whose intrigue-laden opus is about to hit the silver screen, is accused of having lifted the idea from an early work by Michael Baigent and Richard Leigh, authors of "The Holy Blood and the Holy Grail", who sued Mr. Browns publisher, Random House. Which, incidentally, also published their book. Naturally, Random House denies the claim. 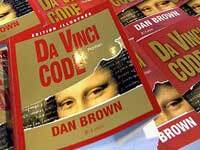 It all centers around the idea, certainly put forth in Mr. Baigent's and Mr. Leigh's book, that Jesus went ahead and married the foot fetishist, namely Maria Magdalena, the gist of which also provides a center piece in The Da Vinci Code. And thus the battle begins. And while the available jackpot was already huge prior to the sale of the movie rights, the two gentlemen's timing coincides nicely with Sony's imminent cinema release (starring none other than Tom Hanks), thus making the ensuing court battle all the more pecuniary. Of course, there is really nothing new here: the literary battles focused on Shakespeare's alleged copyright infringements are already legendary (though not yet litigated); Art Buchwald once successfully extracted half a million dollars from Paramount's coffers for their "borrowing" his ideas for the making of "Coming to America". And who could forget Kunta Kinte of "Roots" fame, whose author, Alex Haley, had not just copied ideas but entire paragraphs from an earlier book. He apparently settled out of court. Almost makes you wish you had something in print, never mind how obscure or obtuse, so Hollywood or some hack on his way to the publisher could steal it and thus make you rich. I wonder, though: will Yahoo sue me for copying part of my second paragraph above straight from their news page? Or for getting the idea for this entry from one of their horribly construed headlines?